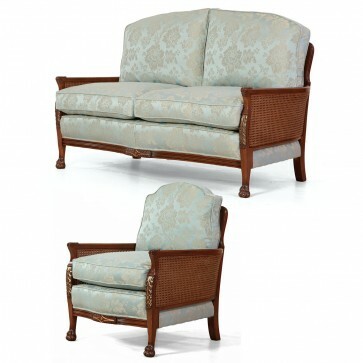 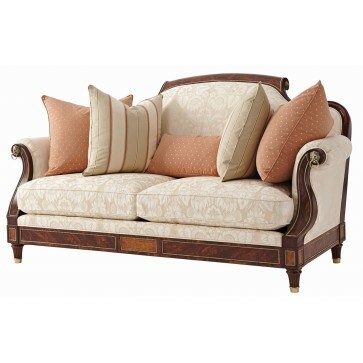 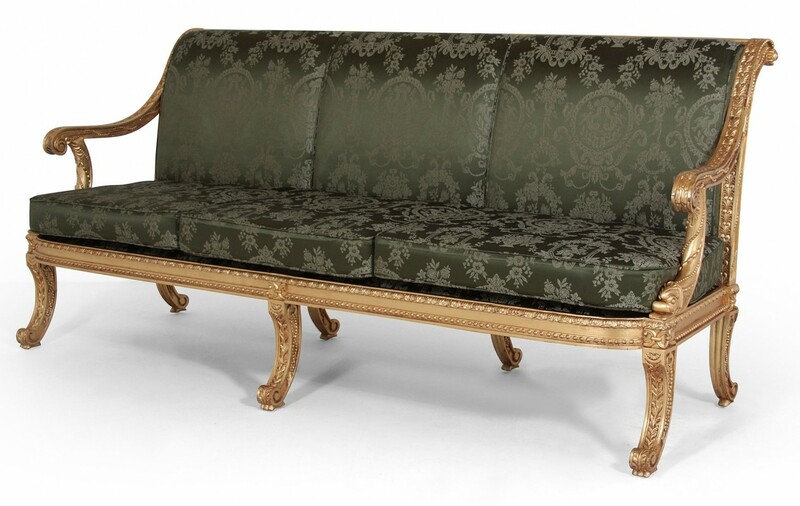 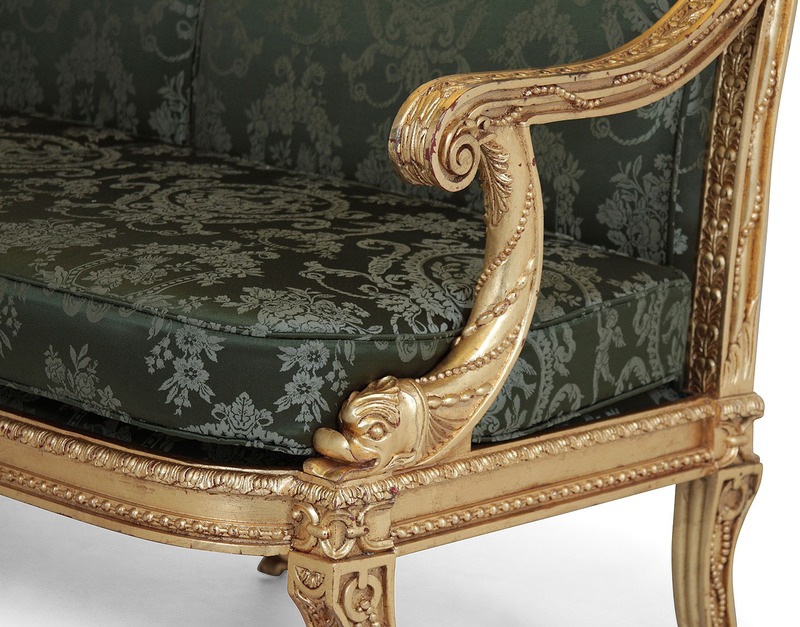 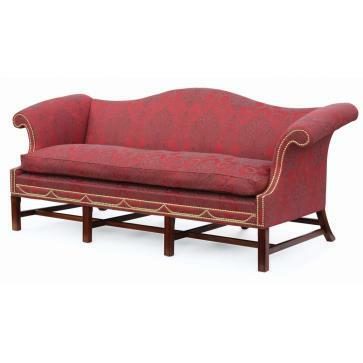 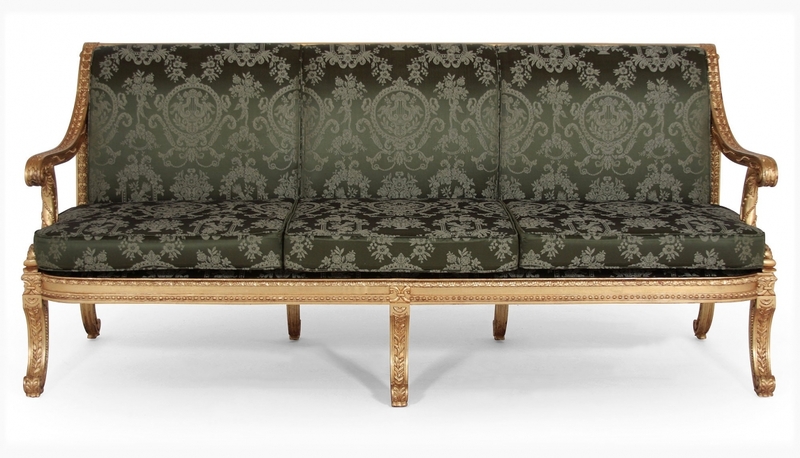 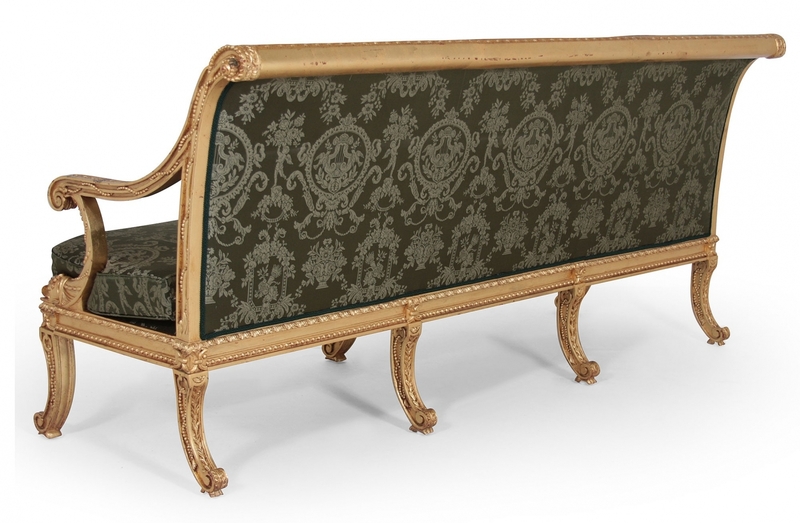 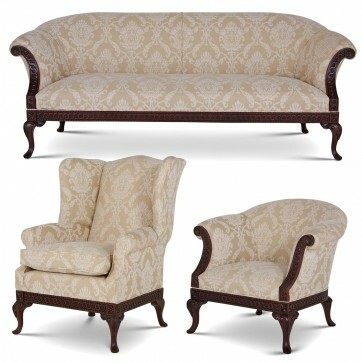 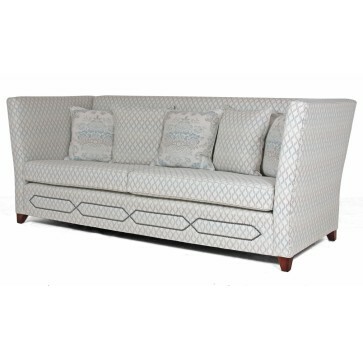 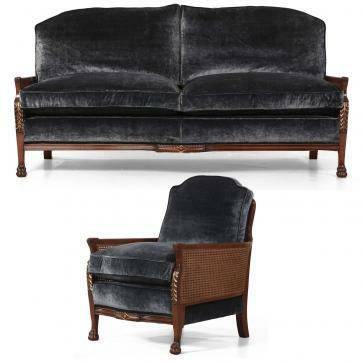 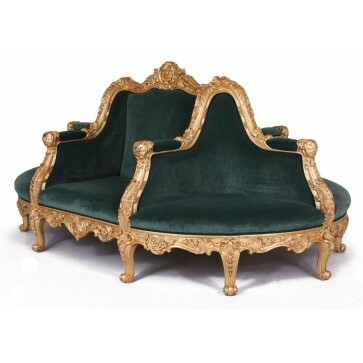 An entirely hand carved formal sofa inspired by the lavish French 18th Century designs. 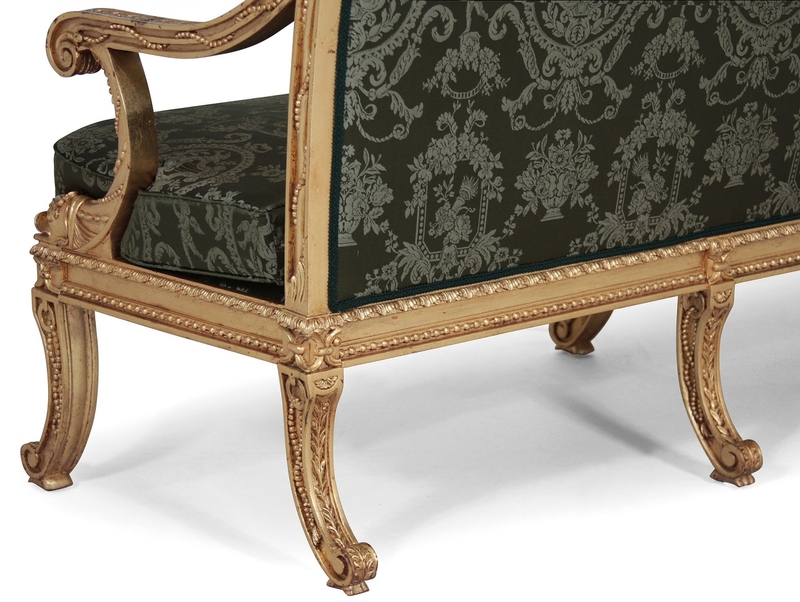 The rope design combines with foliate decoration to flow throughout the frame whilst the scroll arm's support terminates with stylised dolphins. 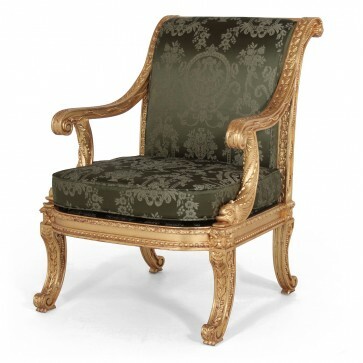 Oil gilded in dutch metal leaf and upholstered by British craftsmen in fine Gainsborough Country Garden Olive - a timeless design in silk (39%) and cotton (61%) RRP £274 per metre. 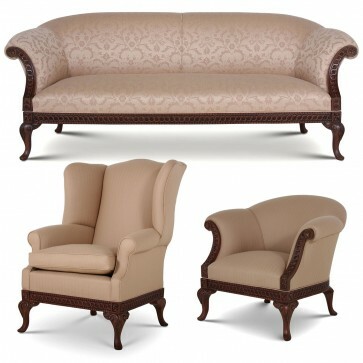 The loose seat cushions are filled with Dacron wrapped super soft foam to maintain shape and support. 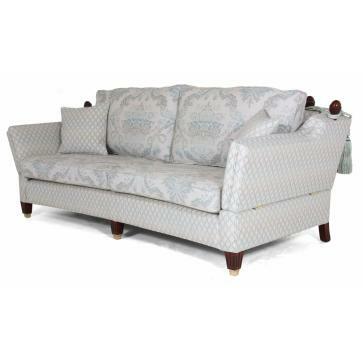 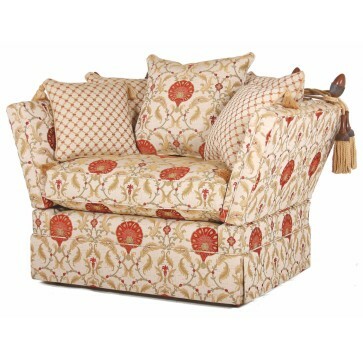 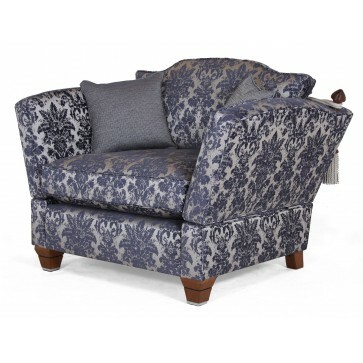 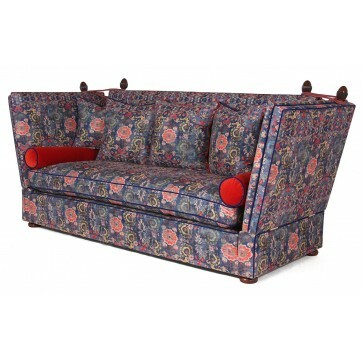 The Louis sofa is available to order from £3,945 plus fabric.